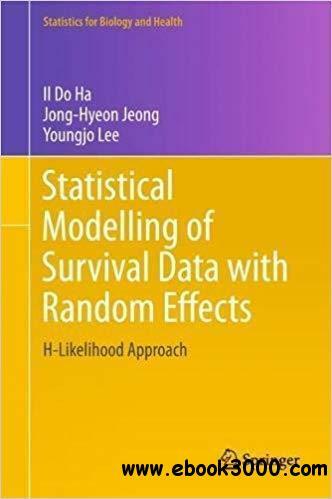 This book provides a groundbreaking introduction to the likelihood inference for correlated survival data via the hierarchical (or h-) likelihood in order to obtain the (marginal) likelihood and to address the computational difficulties in inferences and extensions. The approach presented in the book overcomes shortcomings in the traditional likelihood-based methods for clustered survival data such as intractable integration. The text includes technical materials such as derivations and proofs in each chapter, as well as recently developed software programs in R ("frailtyHL"), while the real-world data examples together with an R package, "frailtyHL" in CRAN, provide readers with useful hands-on tools. Reviewing new developments since the introduction of the h-likelihood to survival analysis (methods for interval estimation of the individual frailty and for variable selection of the fixed effects in the general class of frailty models) and guiding future directions, the book is of interest to researchers in medical and genetics fields, graduate students, and PhD (bio) statisticians.